Juliette's neat wreaths with clear crystals instill a sense of light glamour. The golden rings shine beautifully, and their lovely size and sparkle are reminiscent of late summer and sunflowers. Juliette's neat wreaths with clear crystals instill a sense of light glamour. The golden rings shine beautifully, and their lovely size and sparkle are reminiscent of late summer and sunflowers. 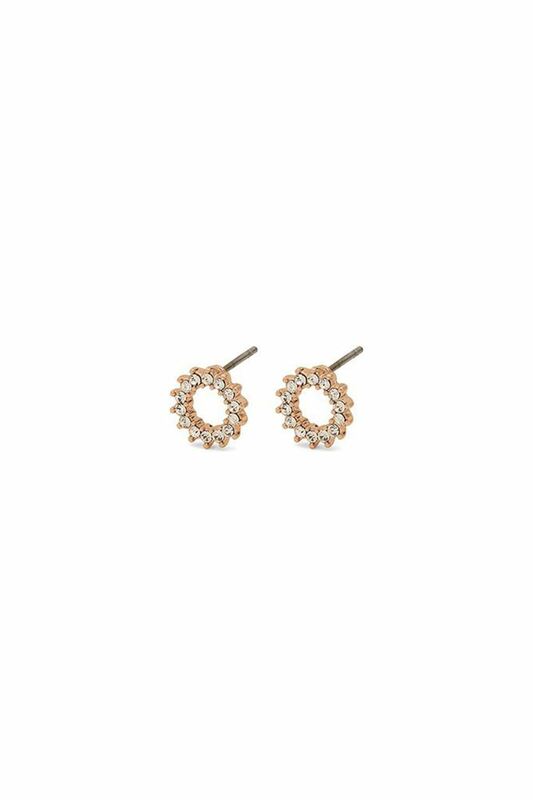 If you still have a little summer glow in your cheeks, these earrings will perfectly match your gorgeous radiance. The crystals create a reflection that will compete with the sparkle in your eyes.